One of the best ways to distract the kids when we are stuck in side (and keep me sane!) is to have some fun baking. 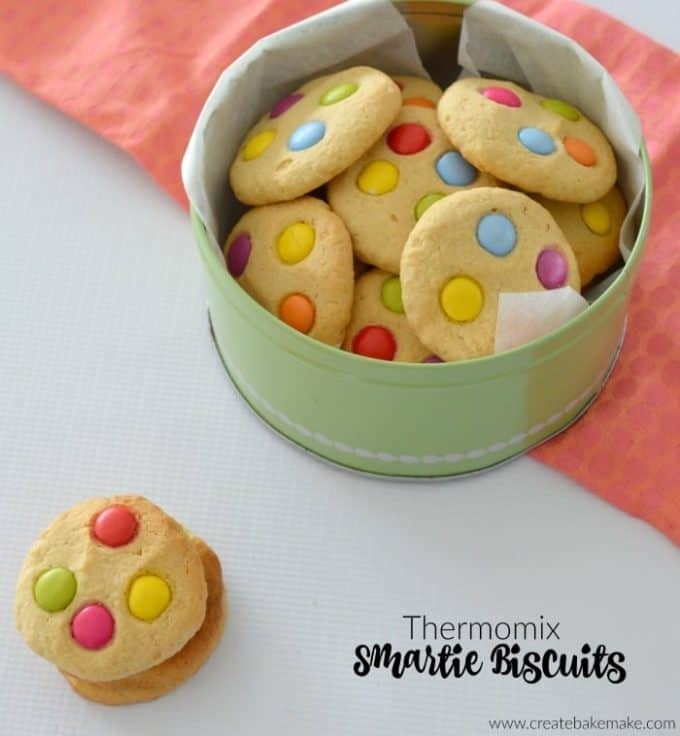 These Thermomix Smartie Biscuits are one of our favourite recipes to make because they are just so easy!These Thermomix Smartie Biscuits take no time at all to put together and are the perfect treat for the kids! This biscuit recipe is also extremely versatile, and you can add your favourite treats (and even chocolate chips!) to the mix! My boys love helping to decorate these Smartie Biscuits (you can also find conventional instructions here), the only problem is they end up eating more Smarties than they should, and their biscuits are usually a bit overloaded with Smarties! On the plus side, at least they can easily recognise the ones they have made! If you are catering for a crowd, simply double this recipe to make around 50 biscuits, alternatively you can also freeze the uncooked dough so you can make fresh Smartie Biscuits whenever you like! 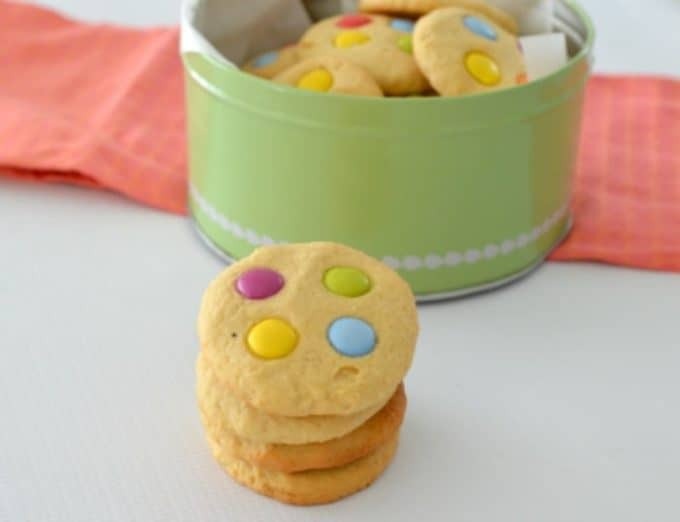 Don’t forget you can find the conventional instructions for these Smartie Biscuits here. Place the butter and caster sugar into your Thermomix bowl and mix for 30 seconds on speed 6. Add the eggs and vanilla extract and mix for 20 seconds on speed 4 to combine. Add the flour, coconut and baking powder and mix for 20 seconds on speed 4 or until combined. Stop after 10 seconds to scrape down the sides. Scoop up tablespoon sized balls of the cookie mixture and place onto your prepared baking trays. 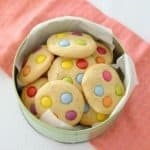 Flatten the surface of the biscuits slightly and decorate with Smarties and place in the oven to bake for 12 – 15 minutes. You can find more great snack recipes in our Snack Attack eBook – also available in a Thermomix edition. How do I print these recipes? I can’t seem to find the printer friendly version or print function…. ?